The Bridgestone LM-80 EVO is designed for 4x4's as it has the ability to support heavier vehicles. 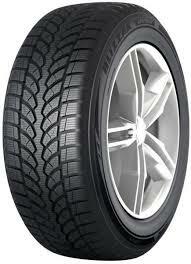 A great handling tyre that works very well in winter conditions. This tyre will ensure you get the most from your acceleration, handling and braking. The Blizzak LM-80 EVO tyre will give you the performance you want from a premium winter tyre.